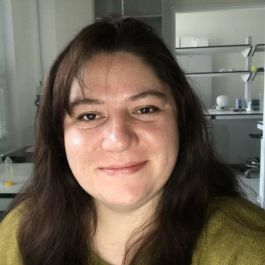 SoWa | Research Infrastructure › People › Ana Catalina Lara R.
I am a post-doctoral researcher working on the molecular biology of anaerobic bacteria and archaea in biogeochemical C cycling in aerated soils. I really like to solve problems. My research experience revolves around biodegradation of crude oil by Pseudomonas aeruginosa and use of bioinformatics tools to compare genetic and transcriptome information. However, during my research, I have dive in to different subjects, like shrimp production, veterinarian diagnostics and viral phylogenetic studies. I like to learn, so I am usually looking for what else I can do or how else I can approach a research problem. I am not afraid venturing in to unknown subjects and enjoy a challenge when presented with one. Y. Fierro Toscano, E. Rudas Burgos, C. Lara, M. A. Pinzón, J. Sánchez, MsC “Characterization of Microorganisms Associated to Leave Decomposing Consumed by Tremarctos ornatus (Ursidae) and its possible Data relation” Acta. Biol. Colomb, Vol 12 S, 2007. R. Viveros, C. Lara, M. Hoyos, M. Murcia “The tracks of the Megaterium. Anatomical comparision between Eremotherium rusconii and Bradypus variegatus” Acta biologica Colombiana, Vol 9 No. 1, 2004.